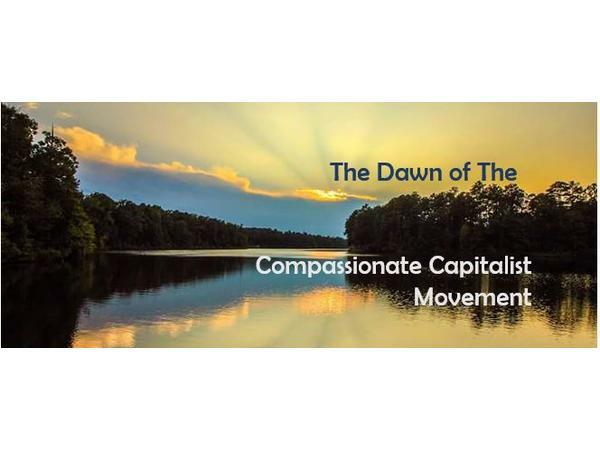 Started about the same time, Conscious Capitalism is more known than Compassionate Capitalism. The underlying principals behind both are quite similar and have been part of the underlying American culture for decades, if not since the birth of our nation. Karen Rands , host of the Compassionate Capitalist Podcast and Founder and Chief Evangelist of the Compassionate Capitalist Movement, explains the difference between Conscious Capitalism (CEOs and the Corporations they run being good corporate and community citizens) and Compassionate Capitalism (Investors making money by helping entrepreneur launch and grow their businesses by providing a portion of the financing they need to succeed). Karen looks into the foundation and history of each, and explains the benefits of each for a community and the economy at large. Subscribe to this podcast and listen to over 150 prior episodes on BlogTalkRadio, iTunes, Stitcher, TuneIn and Google play. Limited release of podcasts are available on BeyondPod, Spotify, & SoundCloud. Search on Compassionate Capitalist. Karen Rands is the best selling author of Inside Secrets to Angel Investing. The difinitive guide to getting started as an Angel Investing -- whether investing in crowdfunded company under Reg CF or microcap growth under a Reg A+ or new to an angel group and want to get up to speed quicker, this book and the resources provided will help you determine how much, how often, and what kind of investments to make based on your risk profile. Buy the book, & Join the Compassionate Capitalist Movement. Test the Waters with a free excerpt of 12 of the 44 Inside Secrets included in the book.